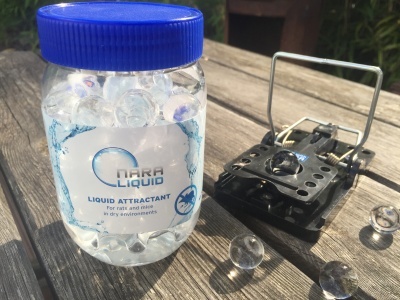 NARA LIQUID fills the gap of demand for liquid baits for stations, live-catch traps, snap traps, glue boards or other types of pest control. Especially RATS have to consume larger amounts of water to survive whilst mice mostly survive with way less water. This is the reason why they are know to sense water over large distances, even without additional aromas.